Thousands of families in the areas of East Anglia most at risk from flooding are likely to become uninsurable unless the government increases funding on defence works, the insurance industry warned last night. The warning covers at least 30,000 homes in Norfolk, plus thousands more in low-lying Cambridgeshire and Suffolk. The forecast came from the Association of British Insurers (ABI) – representing all of Britain’s major insurance companies – which indicated that its patience with the government had almost run out. Current flood spending levels were set in 2002 but have since decreased significantly in real terms – and in August the Environment Agency was told to cut this year’s flood defence budget even further. A spokeswoman for the ABI said that the floods in Yarmouth this week were likely to be the tip of the iceberg, with climate change making torrential downpours and rising sea levels ever more likely to cause havoc. She said that the insurance industry could no longer afford to cover homes in the most at-risk areas if the government was not prepared to spend an appropriate amount on protecting them. Kelly Ostler said: “We have a statement of principles with the government which says that if they commit to a certain level of funding our members will commit to providing flood cover everywhere. She said that the government had a responsibility to areas at risk of flooding which it was not currently fulfilling. The ABI will make a decision on whether to recommend members to stop providing flood damage insurance to the most at-risk areas next spring, when the government publishes its spending plans for up to 2011. It believes that spending on flood defences needs to rise from the current level of £570m a year to £750m a year by 2011, an increase of about 10pc a year. “With proper defences flooding is not an inevitability,” said Ms Ostler. “But at the moment Defra is spending its budget on avian flu and farming subsidies and is too stretched to spend what it needs on flood defence. A spokeswoman for the Environment Agency confirmed that there were about 113,000 homes deemed at “significant” risk of flooding from coasts or rivers in the East of England, including more than 30,000 in Norfolk. Huge numbers of homes in east Cambridgeshire and west Norfolk, including King’s Lynn and Wisbech, areas of the north Norfolk coast, Broadland villages, Yarmouth, Lowestoft and Beccles would no longer be able to get insurance for flood damage. A spokeswoman from Norwich Union said that the average insurance pay-out to homeowners suffering from flood damage was between £15,000 and £30,000. 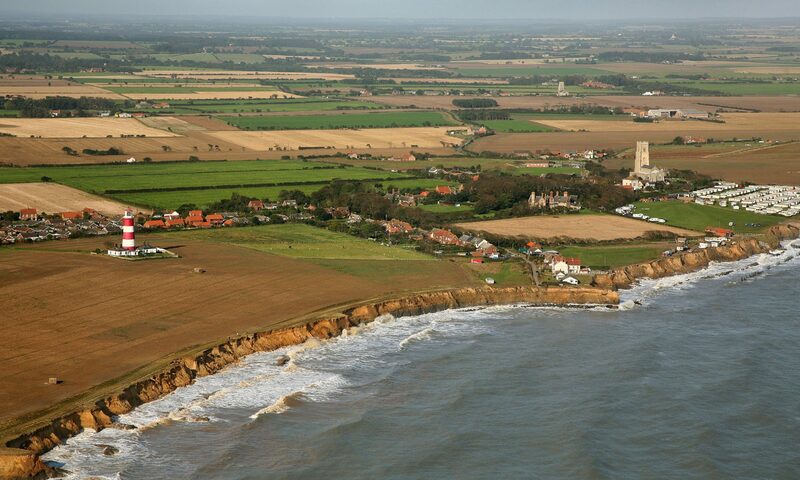 Norman Lamb, MP for north Norfolk, said yesterday: “The potential impact from this on a county like Norfolk could be devastating. The implications for house owners unable to insure against flood damage is enormous. “This would have a massive blighting effect on huge swathes of the county. The government has to get a grip – it’s bizarre that the budget for sea and flood defences is being cut back at a time when the threat is increasing. A Defra spokeswoman said: “The government works hard with the ABI with the mutual aim of ensuring continued widespread availability of flood risk insurance cover for domestic and small business policy holders. “We will meet our commitment under the ABI Statement of Principles to maintain investment. Indeed, the original investment figure for 2005/06 of £564m was exceeded for that year, and is still expected to be met in 2006/07. “Government funding has increased by 35pc in real terms since 1996/97, with £4bn invested. £600m was invested last year alone. This major investment programme has delivered new and improved defences and strengthened flood warning arrangements.